MUSIC: Sean Burns & Lost Country, Rosie & the Riveters, SaskTel Saskatchewan Jazz Festival, Regina Folk Festival, Gunner & Smith, 100 mile house, Alexis Normand, Doris Folkens, Andino Suns, Kevin Roy, Belle Plaine, Blake Berglund, Carrie Catherine, Ginelle James, Elly Thorn, Donny Parenteau, League of Wolves, Crestwood, Ariane Mahrÿke Lemire, Jaydee Bixby, Munirih Sparrow, Village Guitar & Amp, Ariane Mahrÿke Lemire, Raphael Freynet, Scott Patrick Music, and more. ANDREA WARREN, Vice President Marketing & Project Development - Attila Glatz Concert Productions, Inc - "Susan Busse PR was an incredible support to us. We put our performance in her hands from afar (we are based in Toronto and needed help gaining the support and interest of local media), and she took it on like it was her own. 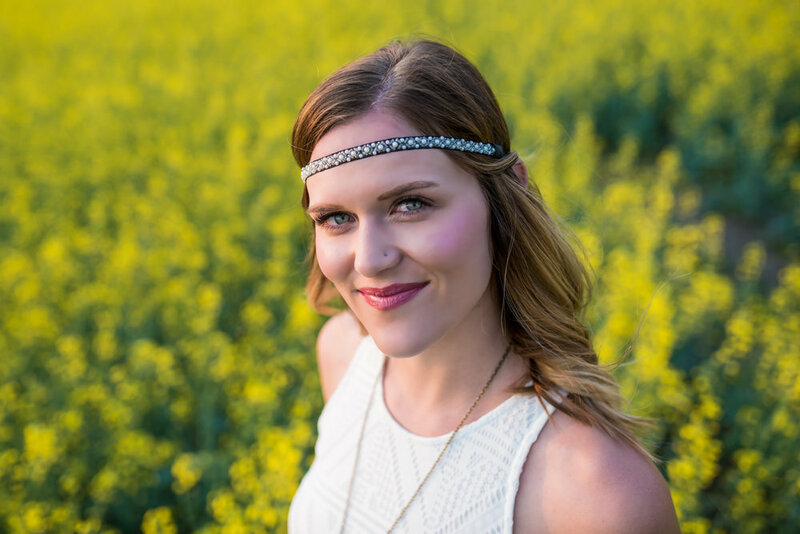 She became an ambassador for our concert, helping us cross-promote with other organizations in Saskatoon, and organizing press coverage for us. Susan went well beyond the call of duty and was interviewed about the performance by local TV and radio. She was thoroughly prepared, and spoke about our concert as if she had worked for us for years! I wouldn’t hesitate to recommend her; she was absolutely essential to our success." MARVIN CHAN, Artistic Director of Trifecta Artist Collective - "Artists from our own collective, Trifecta, have received significant press coverage as a result of Susan's PR workshops. SK artists are lucky to have publicists and educators such as Susan working in our province." ALICE KUIPERS, Award-winning author - "Meeting Susan and working with her has been transformative for me as a writer. She listened to my ideas, streamlined and focused my plans and came up with a huge amount of publicity work around the release of my newest novel. I plan to keep working with Susan for as long as she can fit me in--she is the best!" Alice Kuipers is an award-winning and best-selling Canadian author. Photo by Emma Love. ALEXIS NORMAND, Francophone Jazz-Folk Singer-Songwriter- "You were sooo right about the perks of having a great photo. I spoke with the Festival's AD last night and she said that most of the papers in the Vancouver area used my photo to promote the Festival (of which, I'm barely a part!). Just thought I'd let you know that you are right! :) "
Photo by Erin Crooks Photography. A beautiful photo can make a world of difference in press pick up! Photo by Carey Shaw in Darke Hall, historic performance space at the University of Regina. BELLE PLAINE, Folk/Swing/Country Singer-Songwriter -"I love working with you. I totally trust your instincts. You proved your weight in gold when you wouldn't let me back out of playing live on the radio today. Evidently, I like it when you tell me what for." ELIZABETH CURRY, Bass, Vocals, Booking, Chef with Belle Plaine - "Susan. You rule. Our show in the very rural Middle West Pubnico in Nova Scotia was full of peeps who were there either because of seeing the story in the Chronicle-Herald or the Vanguard. Or both. Bless your press-minded soul." Photo by Carey Shaw. Elizabeth Curry, Belle Plaine and Jeremy Sauer have been long-time collaborators, friends, tour-mates and cribbage opponents. Photo by Matt Braden Photo. Gent and Steven occasionally enjoy a good cocktail at Saskatoon's Duck Duck Goose. CRESTWOOD, Jazz-inspired Folk Duo - "We sold out the Blackbird Café tonight. The waitress said it's unheard of for an out of town group to do so. She figures the newspaper article (Edmonton Journal) got major traction. Thanks again!." ROSIE & THE RIVETERS, Vintage-Inspired Trio - "We've always been media darlings but before Susan Busse, we couldn't maximize our press opportunities. By putting Susan Busse's incredible enthusiasm, professionalism and love of publicity to work for us, the name recognition of "Rosie & the Riveters" has skyrocketed, we've been featured in almost every media outlet we've approached. On our recent tour we didn't have to worry about inviting friends and family to the shows because the press did it for us and we played consistently to full house audiences. Susan is the key ingredient in our marketing arsenal and when you're ready to go pro, she's the one you hire." Photo by Matt Braden Photography. Alexis, Farideh, and Allyson are wild about retro style and their photos appear in newspapers, magazines, and blogs across Canada and the US. Patrick is the lead singer for country rock band WYATT, 8-time Group of the Year winners at the Saskatchewan Country Music Awards. SCOTT PATRICK, Vocal Coaching and Rehabilitation - "Inquiries are coming in nice and steady on my Facebook page (which you helped me to create). Thx again for your expertise!!! You are the best." BLAKE BERGLUND, Singer/Songwriter - "Watching Susan's successes with Belle Plaine sparked my excitement to collaborate. Her approach is artistic, creative, thorough and effective. Susan inspires you to work and becomes an engaging and professional representation of your project. It was an honour to share sold out shows, front page press and premiere radio placement with her. I look forward to our next venture." TARON COCHRANE, Radio Host and Media Personality - "By the way, that press release was all kinds of amazing...so detailed/awesome. I've dealt with A LOT of publicists through this freelance job and you are one of the two most organized that I have dealt with. Number one works for The Irish Rovers." KEVIN ROY, Singer/Songwriter - "Susan Busse is a publicity master! She takes the time to get to know her artists prior to pitching them to industry. With this understanding, Susan pitches not only the music, but the story of the artist as a whole. She has a real strength to look outside the box for every media opportunity. In my case, she not only landed me numerous spots on television/radio shows, reviews and write-ups in national print and blogs, but she also has me writing articles for some National fishing magazines (and yes, I do love fishing)! Susan is a genuine, dedicated, hard working publicist that will bring an artists’ story to life and present it in a way that is alluring to the media." ANDINO SUNS, Latin/World Band - "When it comes to generating publicity, Susan is the real deal! Her strong understanding of the music industry ensured our brand of World/Latin music was heard across the country. She is a true professional and I look forward working with her on future projects. You rock, Susan!" Andrés Palma , Andrés Davalos and Cristian Moya are Andino Suns. They combine the sizzling sounds of South American sun with the earthiness of prairie solitude. 2015 nominees for WCMA World Recording of the Year. New album 'Madera' was released fall 2016. DORIS FOLKENS, Singer/Songwriter (Ontario) - "Susan’s publicity guidance was essential in the planning and subsequent success of the release of my debut album. She helped me formulate my marketing plan, prioritize a task list and navigate communication with radio and media. Her guidance helped me to achieve my album release goals. Working with Susan was not only a pleasure, but also very rewarding!"